TRI Essential Titan. 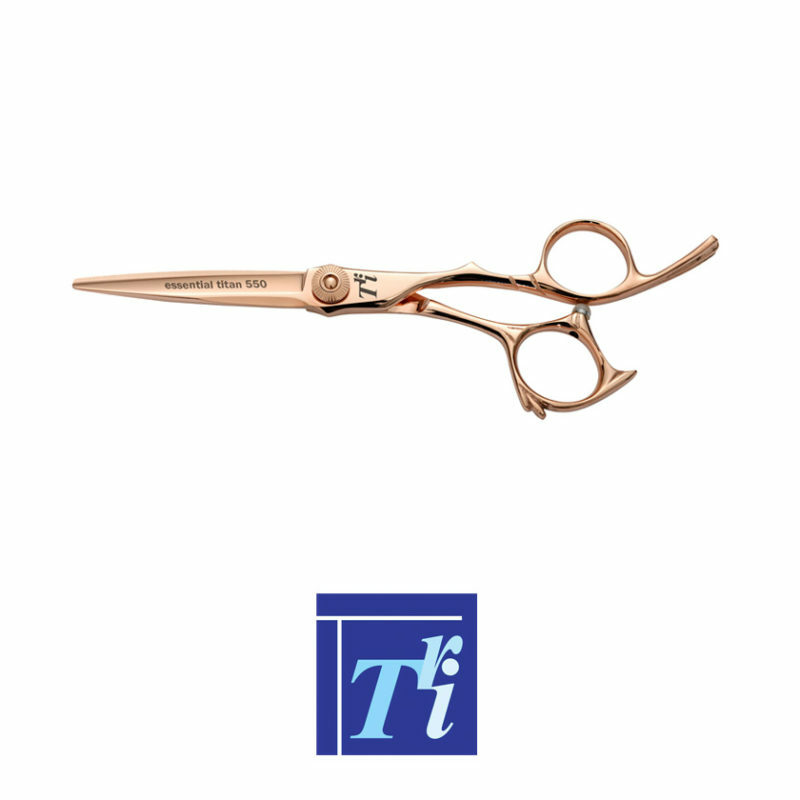 Japanese Cobalt steel (440C) Rose Gold hairdressing scissors. titanium finish. Offset, tension wheel and weighted blade.